Ornate acanthus designs and enchanting, luxuriant carpets of flowers are one of the central motifs of the Versace iconography. The feminine decors in deep black, gold, crème and silver-grey radiate the elegance and sensuality that is typical for the brand. Clear, straight-line meanders (“Greek Key”) embody the male principle at Versace. 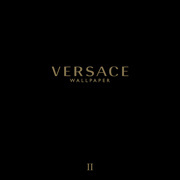 The restrained tone-in-tone decors of the satin wallpapers, with their large format and in the colours gold, silver, deep black and crème, generate an extravagant, grandiose expressivity. Opulent arabesques entwine with luxuriant stripe decors of satin on an embossed ground in restrained crocodile look. The traditional baroque ornaments appear resplendent in luminous yellow and gold on forceful deep black, burgundy red and royal blue. 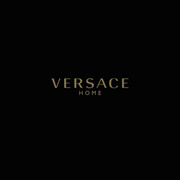 A recurring theme of Versace is the reinterpretation of baroque motifs. Here, sumptuous floral scrolls, reminiscent of the fleurs de lys in the coat-of-arms of the French kings, present an arresting contrast to structured prints in gold, white, crème, blue and silver, adding a hint of Versailles to a stylish home ambience. Opulent floral scrolls and tone-in-tone stripes in an exquisite satin structural mix – the elegant decors radiate feminine sophistication. In shades of crème and copper, with a delicate shimmer of pearl, Creamy Barocco conjures the light-hearted side of Baroque onto the walls. Number of wallpapers: 69 wallpapers, 11 borders.